It’s not a pleasant thought, but it’s important to consider; there’s a burglary every 13 seconds. That’s a total of about 2.5 million burglaries a year, with financial losses estimated to be over $14 billion annually. If your facility isn’t prepared, your risk of an incident is much higher. 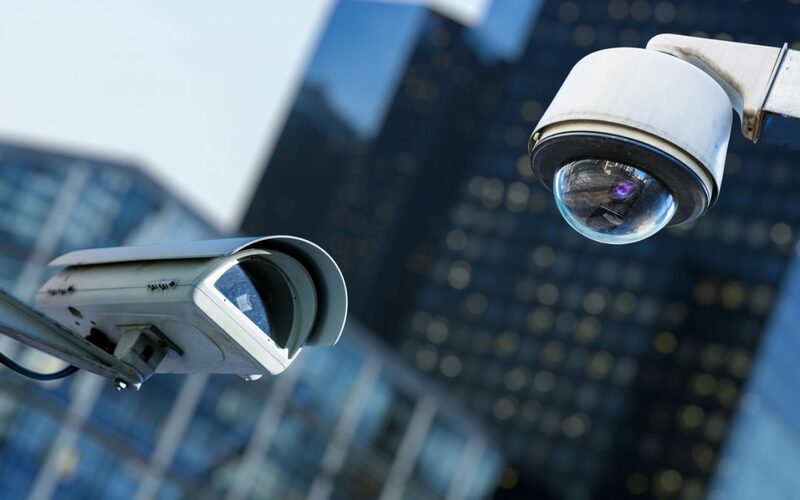 Fortunately, while security will likely always be a concern, today’s security systems are better equipped than ever before to keep your building protected. With cutting-edge technology and a well-designed system tailored to your unique needs, you can have peace of mind knowing that your facility is secure. Properly preparing can greatly reduce your risk. But what does preparation look like? Specifically, what do today’s building security systems entail, what does your building need, and how can you take the steps necessary to set it up? Let’s walk through what we’ll call “Building Security 101” to find out. What are the components of a building security system? First, let’s take a look at the common components of a facility security system. These are the building blocks of any properly secured facility. Security cameras and CCTV systems are perhaps the first components to spring to mind when most people think of a building security system. It’s for good reason: cameras are a major deterrent to crime, and, should crime occur, they can play an important role in crime response. Today’s camera solutions are more advanced than ever before. From network video door stations that allow live-streamed interactions with visitors, to pixel-perfect HDTV cameras that deliver bright colors even in low light, there’s a surveillance solution to meet your building’s needs. When you’re implementing security, cameras are a good place to start. Glass break detectors do what you’d expect, based on their name – should glass break, they set off an alarm notifying the appropriate parties. These devices can be motion-based or sound-based; either version is helpful at protecting against one of the most common forms of building intrusion. Signage, while not necessarily a technical component of a security system, is nonetheless an important one in deterring criminal incidents. It’s a residential statistic, but it’s telling: homes without security system signage are 300% more likely to be burglarized. While the numbers aren’t as readily available for commercial incidents, the trend is clear. Of course, burglaries aren’t the only security incidents that can wreak havoc on a facility; others, like gas leaks or fires, can be just as damaging and compromising to occupant safety. Today’s detectors can be set up to tie into existing systems, notifying appropriate parties in the case of incidents. It’s also possible to measure levels more precisely – so, instead of an alarm going off only when a threshold is crossed, levels can be checked for exact readings, and certain readings of smoke or gas can send varying degrees of notifications. Finally, today’s premier building security systems are integrated with access control solutions. From keycards to biometric solutions (such as fingerprint scanners or even facial identification), building access can be granted to the parties that need it – and not to the parties that shouldn’t. Integrated solutions can even communicate with surveillance cameras and other system components to ensure ideal security as people enter and exit the building. What should I consider when implementing building security? With the building blocks of a building security system considered, the logical next question is: what does my facility need? First, how large is your facility? The larger the facility, the more security infrastructure will be required to properly secure the premises. How many entrances and exits are there? Are doors located in highly-visible areas, or are there some concealed entrances? This will impact the need for surveillance and access control. Does your building have a parking lot? How big is it? How well lit? Many on-premise incidents actually occur in parking lots, so installing surveillance here may be necessary depending on the context. How many people need access to the facility? At what times are access numbers highest? Are there certain people who should only be able to access certain sections? What is the type of your facility? Certain industries are more at-risk for certain incidents – retail is vulnerable to theft, for example. How can I set up a building security system? With building security system components considered, and with an appreciation for the factors that influence a successful installation, the next step is to get started. That’s where systems integrators come in. The reality is that, more often than not, attempting to select and install security solutions without expert help increases the risk of failure. And the security of your building is too important to leave to chance. At Medlin, we’re experts in integrating security systems so that they work the way you need them to, when you need them to. We’ll put cutting-edge solutions to use to help you rethink surveillance from a point of view that’s literally different than anything you’ve seen before. And, most importantly, we’ll make sure the job is done – so you’ll be able to have full confidence in your systems. If you’re not sure whether or not your facility is secure, get in touch with us.